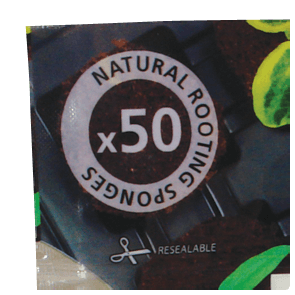 This refill pack contains 50 ready to use sponges. 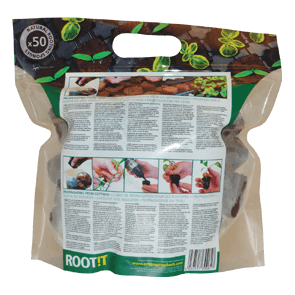 Refill your ROOT!T Propagator or use alone for clean hassle free propagation. 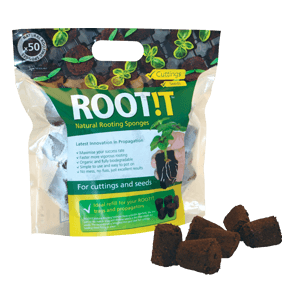 Suitable for seedlings and cuttings. 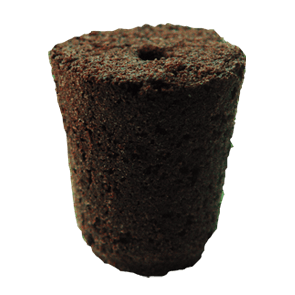 Once rooted, the ROOT!T Sponges can fit into larger stone wool blocks if that is your media of choice. 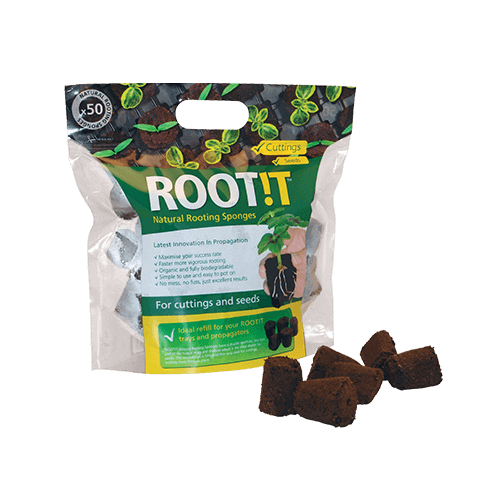 For best results, use in conjunction with ROOT!T Rooting Gel when propagating cuttings. 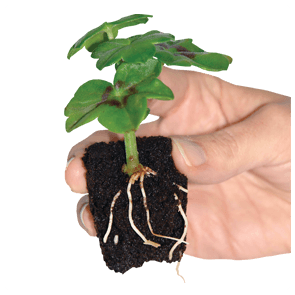 Give your seedlings a head start by using a pre-soak of ROOT!T First Feed. This resealable bag will keep unused sponges in top condition!